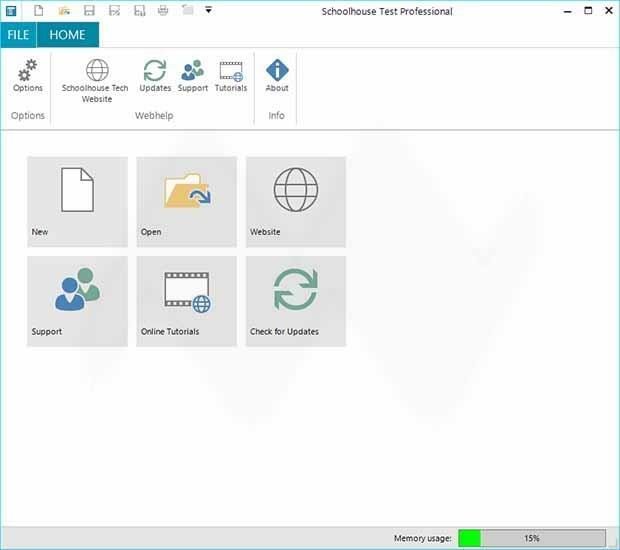 Schoolhouse Test is a powerful Tests, Quizzes or Exams creator software that lets you create and print a paper-and-pencil test, quiz, or exam with ease and the result more professional. With this program you can design custom tests to evaluate learning in any subject area using thirteen different question such as multiple-choice, list, matching, order, fill-in-the-blanks, short and long answer, and so much more. It enables of using various question types and makes more interesting and challenging for your students. In addition, Schoolhouse Test also allows you to include an answer sheet for students, as well as learning matrials. Schoolhouse Test Professional is very intuitive and easy-to-use. It incorporates three time-saving features and views of work areas to construct your test. You can activate and deactivate questions, randomize questions, as well as randomize elements within questions. So you can generate many different tests using the same question set.